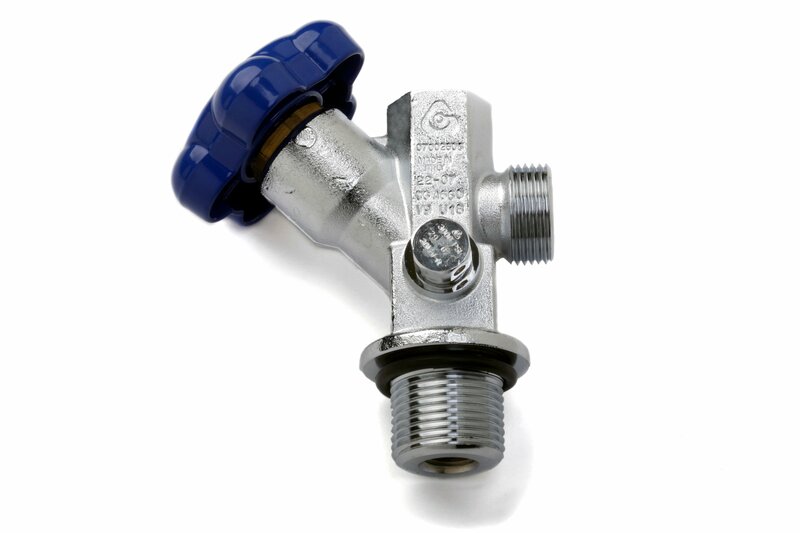 Our "standard" valve is unquestionably the best of its kind on the market. Key features include a large outlet port, CGA #660 outlet threads, an O-ring seal, and large internal ports. This valve can support systems to 400+ HP. The newest versions of the NOS Hi-Flo™ valve are identified by the 45° handwheel, while earlier models had handwheels 90° to the valve. This valve is a direct replacement for all NOS bottles, 5 lbs. and larger. Nitrous Bottle Racer Safety Blow–Off Adapter, –8AN for 2nd and 3rd Generation Hi–Flo™ And Super Hi–Flo™ Bottle Valves. Includes a new, pre-installed, Safety Disc. This product is limited to stock.